MOSCOW, November 15. /TASS/. Russian presidential spokesman Dmitry Peskov has dismissed foreign media speculations the possibility is being considered of deploying up to 20,000 UN peacekeepers in Donbass. 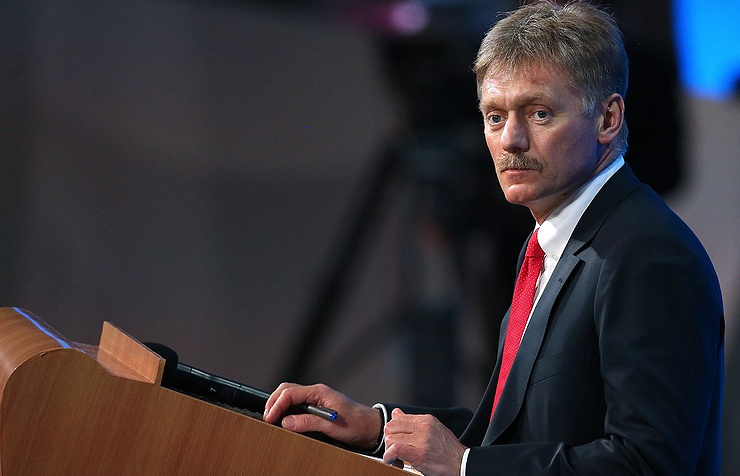 "These reports have nothing to do with reality," Peskov told the media. He refrained from comments on the results of Monday’s meeting between Russian presidential aide Vladislav Surkov and US special representative for Ukraine Kurt Volker. The Wall Street Journal earlier said the United States might soon propose a plan for deploying a contingent of up to 20,000 peacekeepers in the east of Ukraine. The daily said US and Western diplomats believed such a mission might operate under the auspices of the OSCE, and not the United Nations. 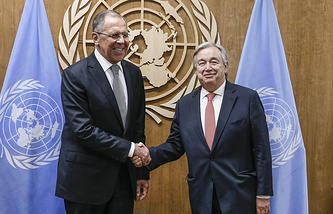 On instructions from President Vladimir Putin Russia’s UN mission on September 5 presented to the UN Secretary-General and Security Council’s President a draft resolution on the deployment of a UN mission along the engagement line in Donbass for ensuring the security of OSCE special monitors. Earlier, Putin said the deployment of a UN contingent might be possible only after the pullback of weapons and on the condition of consent from the self-proclaimed Lugansk and Donetsk republics. Shortly after that Kiev said the format of the mission in Donbass Putin had proposed was unacceptable. Ukraine insists on the deployment of peacekeepers on the Russian-Ukrainian border.